Patterns,Handcrafts,Sketchs, Illustrations, Handmade Jewelary.. Desenhos,Ilustrações,Estampados/ Rapports,Bijutaria handmade, Artesanato.. 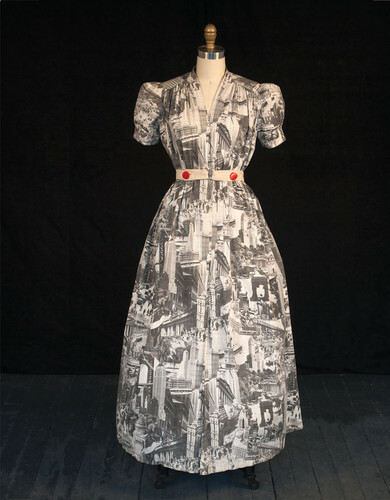 This dress, which was on view at the Winter Antiques Show, offers a photographic tour of 1930s New York. Perhaps the most captivating fashion statement this season in New York was not on the runway or the street, but at the Winter Antiques Show: a modest black and white vintage dress, in mint condition and priced at $135,000, displayed by Allan Katz Americana, that was vigorously photographed, shared on Instagram and Facebook, and pinned on Pinterest.